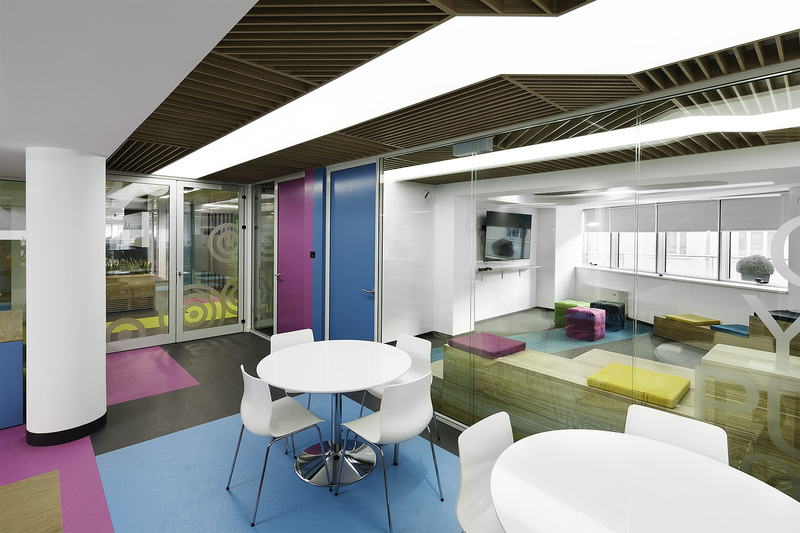 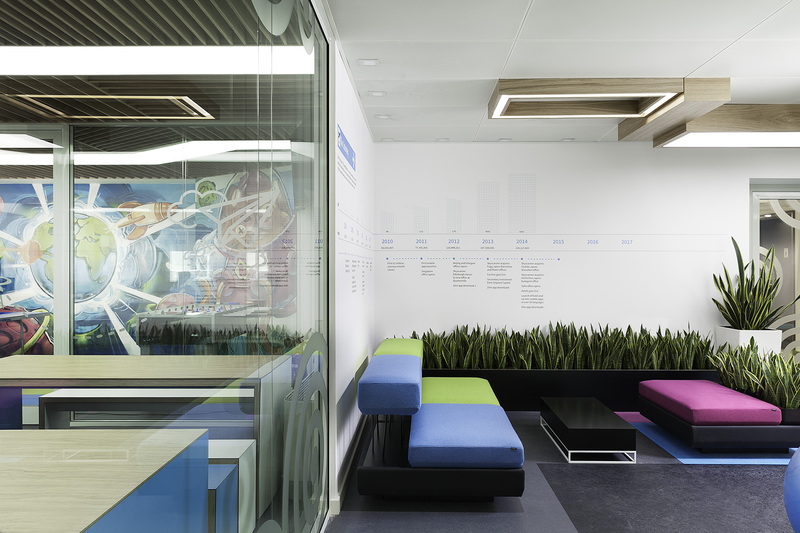 Skyscanner’s first office located in Sofia was growing at a rapid rate, so the client needed new larger space to accommodate more staff with better conditions. 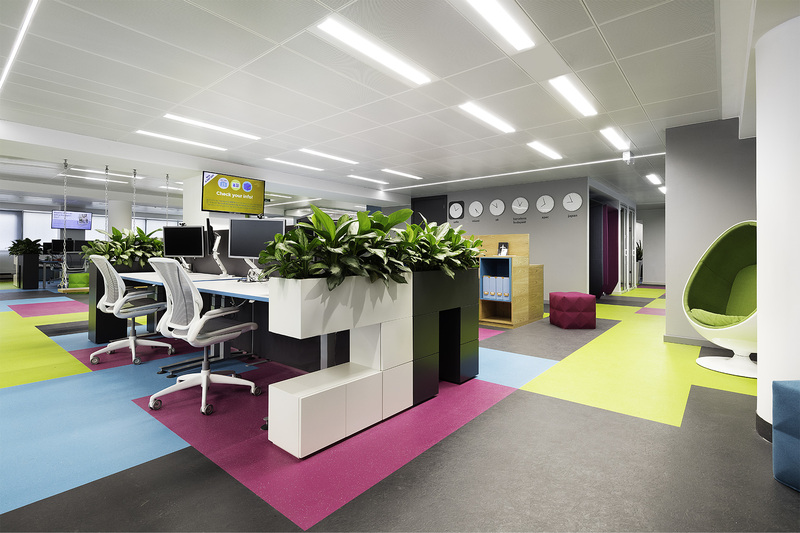 Following development of the brief with the client, our designers established an innovative, fresh and colourful landmark for their new office in Sofia. 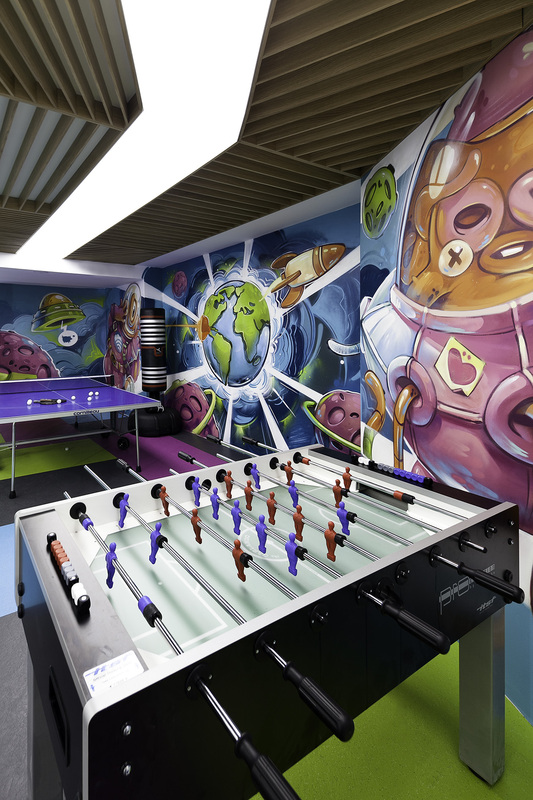 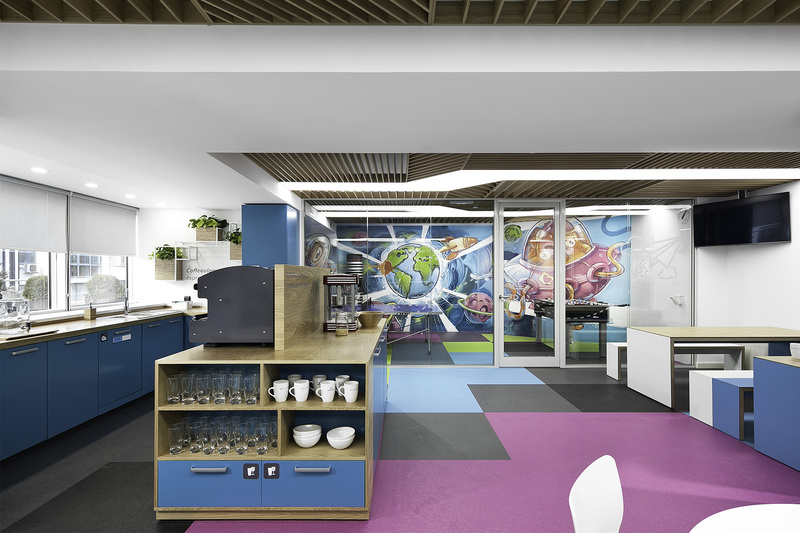 High quality design and products add a ‘hipster’ feeling of freedom and creativity for staff; swings, egg chairs, amphitheatre seating, phone booths, nap room, quiet areas, four types of coffee machines, alien graffiti in the games room and a hammock on the sunny decked terrace.